The National NeedleArts Association is partnering with local yarn shops and needlework groups to bring you Stitch N’ Pitch 2008. Stitch N’ Pitch brings together two wonderful traditions — Baseball and the NeedleArts. 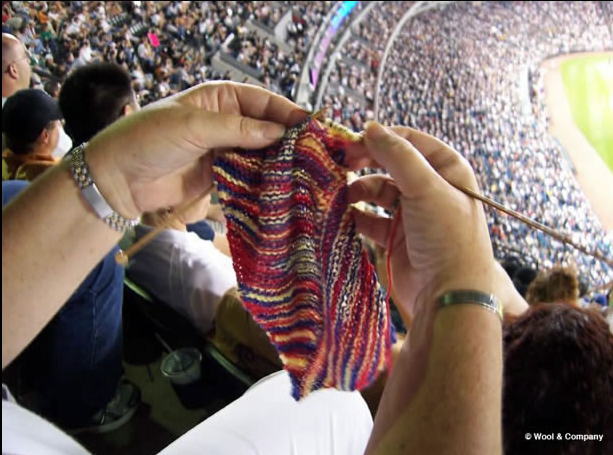 Come to a ball game and knit, crochet, embroider, cross-stitch and needlepoint. Sit among friends, family and colleagues and cheer on your favorite Baseball Team. Beginners, intermediate and experts are all welcome. These games are a perfect opportunity to play with your needles in public.